The Destination Imagination (DI) team from Lake Ridge High School excelled at the state tournament and qualified to compete in the world’s largest celebration of creativity. Destination Imagination uses project-based learning to apply the creative process across seven different STEAM-based (science, technology, engineering, arts and mathematics) challenges. The state contest was held April 7, and the team of graduating seniors earned sixth place for their innovative challenge solutions. 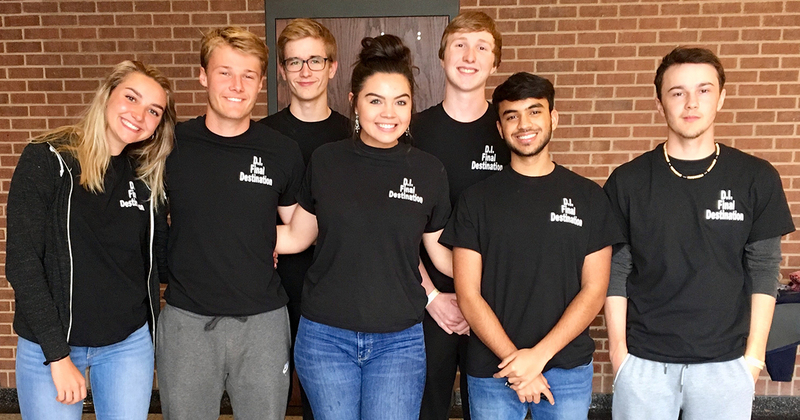 The Lake Ridge students are now gearing up for the Global Finals, competing with more than 1,400 top-scoring DI teams from 45 U.S. states and 14 countries. The global competition will take place May 23-26 in Knoxville, Tennessee. More than 17,000 students, parents and volunteers attend the event each May. View more information about Destination Imagination here.